How could that have happened? Black Stories are fiddly, morbid and mysterious riddles for teenagers and adults. The players try to reconstruct the crime by asking, guessing and fiddling about. Only yes/no answers are allowed. A spooky card game just right for any party. 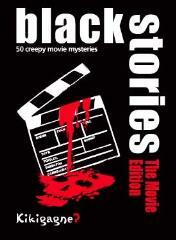 This version of the black stories has events from various movies.